Your Calendly scheduling link is a unique URL that you can distribute at will, allowing anyone that clicks it to schedule a time on your calendar based on your exact availability. It's pretty awesome. You can customize your link via your Calendly account settings, but it will likely look something like this: calendly.com/yourname. 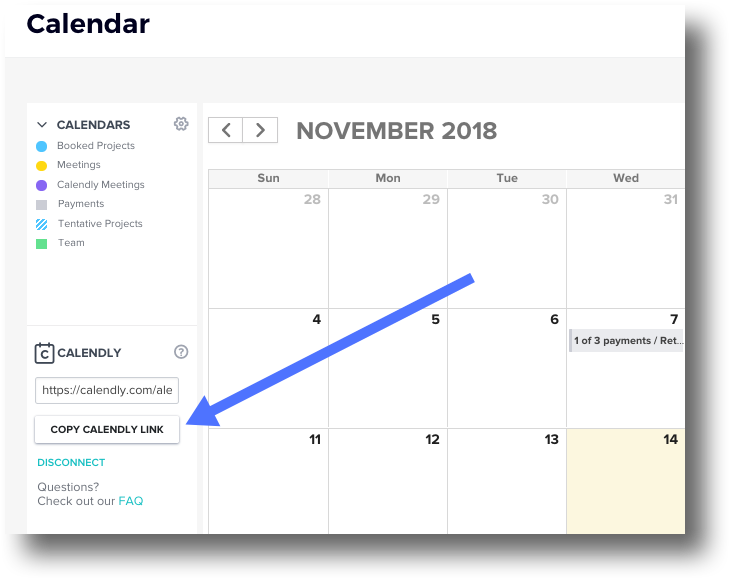 If you've integrated Calendly with HoneyBook, you can find your Calendly scheduling link on your HoneyBook calendar page. Wondering how you might distribute your link? We've got ideas.